Today’s post is going to be on Samsung computer monitors and I’ll be reviewing my top five picks of different models for 2015 and beyond. Samsung makes super high quality computer monitors so it’s great that you’re doing research for some reviews on them. I’ll be listing monitors that cost $150+ and at least 20″ and higher. 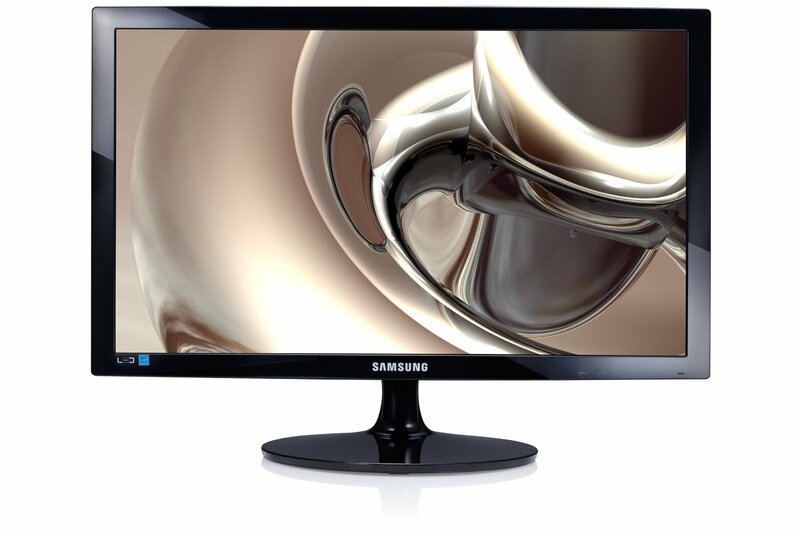 Reason being is because when you pay around that price point for Samsung’s monitors then you’re ensured quality and 20″ and higher dimensions of these monitors gives you a great experience with them. With that, let’s get to the reviews! 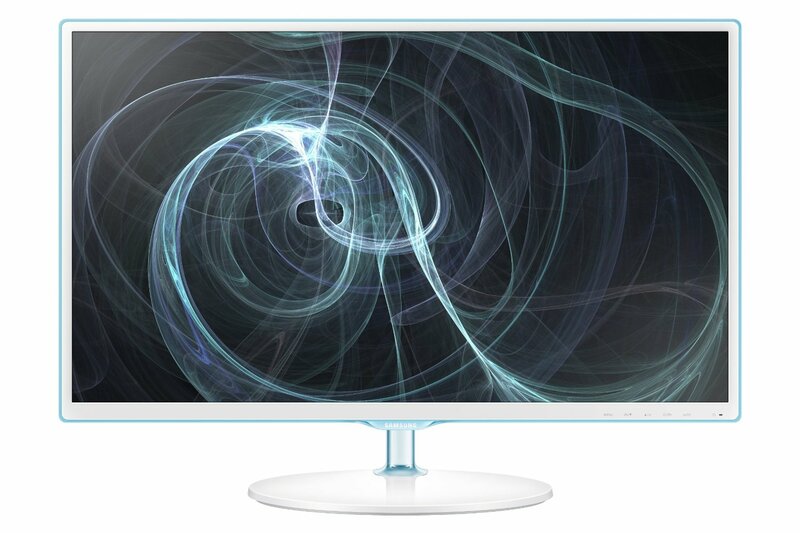 The S24D300H model is a great monitor to use for anything really and the price is great! 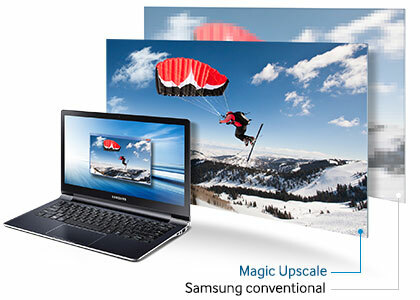 This monitor has Magic Upscale Technology for breakthrough picture quality. You can view any photos or videos in full 1080p HD resolution with an HDMI hook up. This has an ultra slim design with a high quality, glossy finish to top it all off. My favorite feature of this monitor would be how it is eco friendly. It has a control power consumption via the Eco Saving feature. This monitor is perfect for PC gaming as well. There is a built in feature that will optimize your monitor settings specifically for gaming with the touch of a button. The button is located at the bottom right hand side of the monitor and it’s great because it’ll make the screen brighter and sharper that way you can tell where your enemies are at in an optimal way. Not many monitors have this feature especially combined with all of the other features that this monitor has built in. And for the price? This monitor is practically a steal and it is my favorite Samsung monitor by far, I highly recommend picking this one up if you’re looking for one! All in all, if you’re looking for a simple monitor that’ll get the job done optimally and then some at a competitive price point then this is definitely going to be the monitor for you and your PC build. 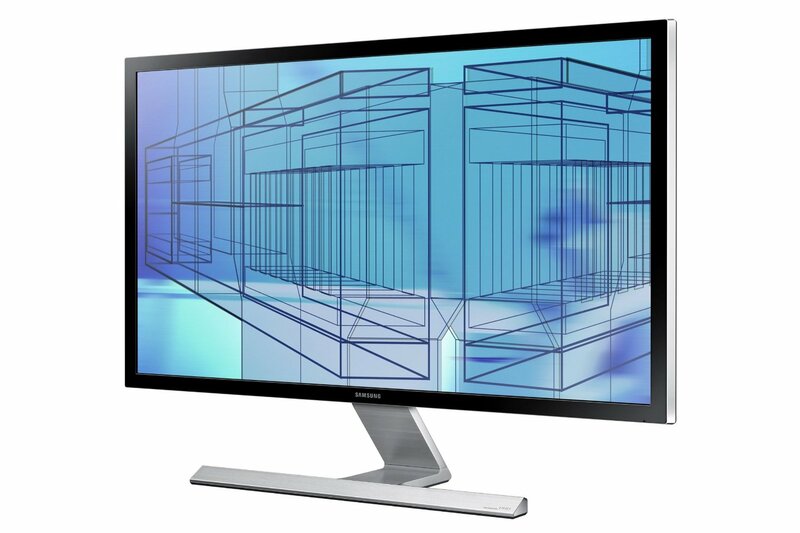 The S27D360H model, in my opinion, is the most modern looking monitor out of most of Samsung’s choices. I really love the modern white look with the slight hint of blue added to it to add clarity and that modern vibe that it gives off. This monitor is sure to turn heads if you were to be the owner of one. It has PLS Panel Technology, allowing it to have a very wide viewing angle (178°/178°). This gives it a very immersive feel and the picture quality is great to go with it. This monitor also has the Magic Upscale Technology which will give optimal performance if you decide to use an external device, like a laptop, with this screen. The view on this screen can be expanded both vertically and horizontally. This a a great feature to have because you’re then able to move the screen in whatever way possible whether you’re moving it to an optimal viewing position for your desk or if you’re rotating your screen to show a friend or colleague something on the screen, you’ll be able to do it. This monitor is also set up for an optimal game experience just like the model that I mentioned above. 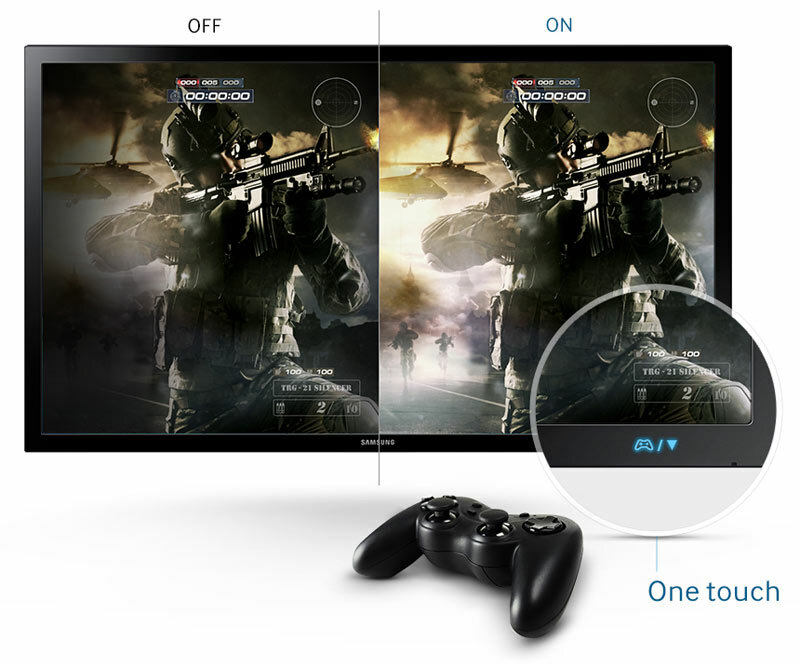 One touch of the game mode button on this beveled monitor and you’re ready for any games that you might emulate on it. If you’re looking for a monitor that looks extremely modern and has a premium screen quality to it for a lower price than most other premium quality screens then this is going to be the right choice for you! The S27D590P model is the most well designed model in this list and I really love how they integrated both a slick black look with the design capabilities of taking complete advantage of the different viewing angles. Although this monitor has the same features as the other 27″ monitor in this list, the reasons why you’d pay for a better price on this one would be for its unique design and the slick black look that it delivers. This high quality screen offers the Magic Upscale Technology, the one touch gaming mode, eco saving mode, the 178˚viewing angle and many other features as well. While keeping similar features as the other screens mentioned above, it also has its own unique characteristics as well. The unique aspects of this specific screen would be the slick black design with aluminum looking sides and it having 2 HDMI inputs. This way you’ll be able to have two different devices plugged into the monitor via HDMI, whether this would be a computer and a laptop or a cable box and a mobile computer, whatever you desire! Basically, if you’re looking for something that has a more “high end” feel and if you’re looking to plugin more than once device via HDMI then this is the best monitor for you! 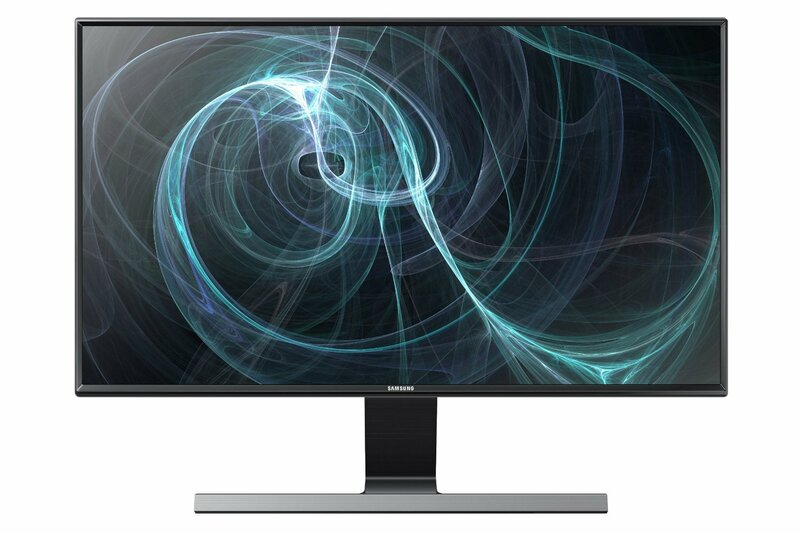 The S27D590C model has a curve with it to give a very unique spin to a familiar look when it comes to the Samsung monitors. I really like the curve when comparing this screen to today’s monitors. 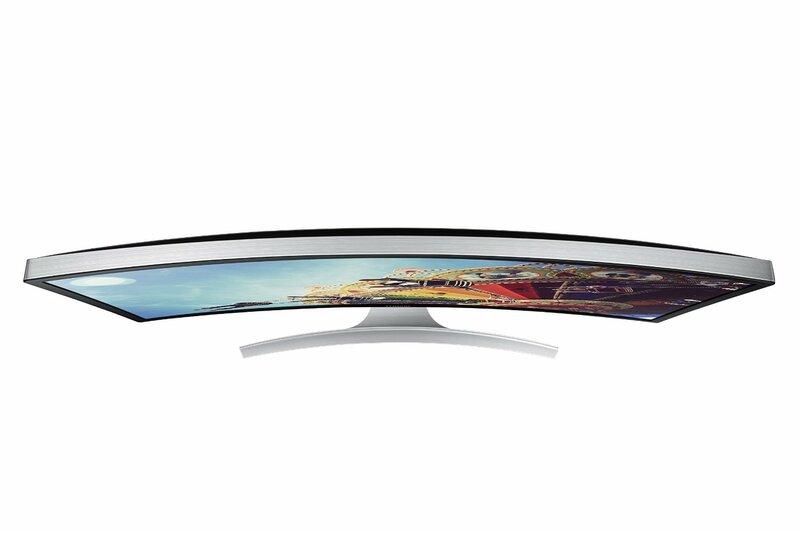 Curved displays are no gimmick. 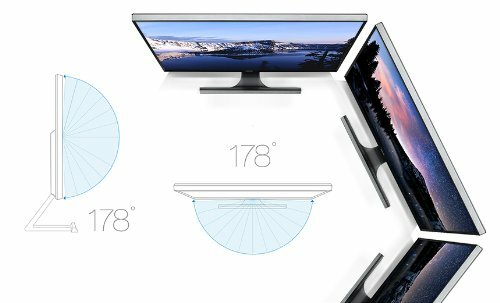 The curvature really helps a lot with the viewing angle that someone may be seeing the screen from and that is what curved screens are best known for. It has a wider field of view. This monitor was designed with entertainment in mind and has actually been optimized specifically for movies and video games. Basically if you’re doing anything with the screen that involves a lot of movement and/or high resolution textures then this monitor is going to display them in an extremely optimal way. Curvature is amazing, but it is even better with multiple monitors. You’ll be more than pleased with this model by itself but you’ll get the full, immersive experience by going with more than one of these bad boys. All of the features mentioned in the above monitors are also present with this one. To sum this one up, if you’re looking for a next-gen monitor capable of giving you an immersive experience due to curvature then this’ll be the best choice for you. The U28D590D model is a 4K resolution monitor, and that is why it is awesome. 4K resolution is a pixel resolution of 3840 x 2160 instead of the 1080p resolution monitors that I have listed above on this list which is 1920 x 1080 pixel resolution. 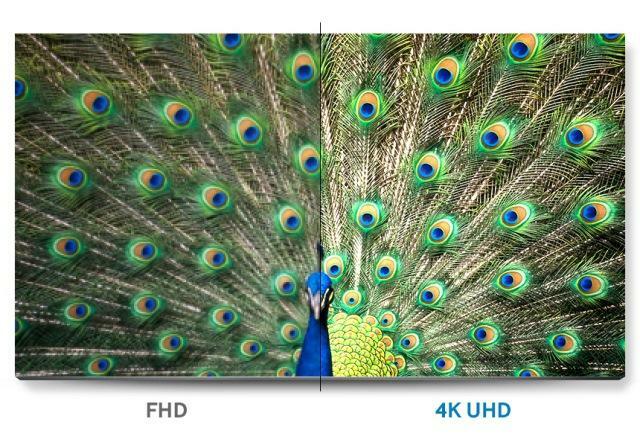 4K resolution really is slowly becoming the norm for screen res and it wouldn’t surprise me if we started seeing many family TV sets and every day computer monitors making the move to this resolution. Besides, the technology required for this resolution gets cheaper to create every single day as well so as I said, it definitely wouldn’t surprise me if it became the norm soon. Making the move to 4K is definitely going to be up to you but you’ll definitely be spoiling yourself with this kind of quality. You just can’t really get much better than this, especially for this price. If you’re on this list looking for a monitor for a computer than make sure you’ve got a beefy graphics card that is capable of 4K resolution, especially if you’re going to be gaming with this monitor. This monitor would be AMAZING for gaming but if you want to run your games on the higher graphic settings then you’re going to need a graphics card that is up for the challenge for sure. All in all, if you’re looking for 4K and you’re looking for perfection when it comes to your monitor then you’re going to want to go with this one, no doubt. I hope my list has helped you with your searching for the best of the best when it comes to Samsung computer monitors. I hope my review of each one helped shed some light on which ones would be the best fit for you and your PC/living room! What do you guys think of these monitors? Is this a good list of Samsung choices? Tagged computer monitors, monitors, samsung computer monitors, samsung computer monitors reviews. Bookmark the permalink. 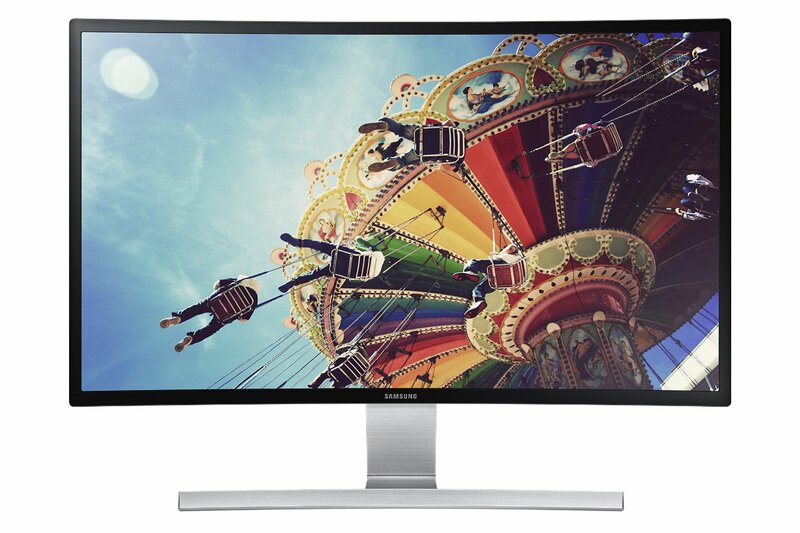 Hmmm, the Samsung Simple LED 24″ Monitor S24D300H is a great price and I love the gaming feature, but wow, the Samsung 27″ Curved LED Monitor S27D590C, gotta love a slick looking curved screen like that! Love the idea of putting the three together too. 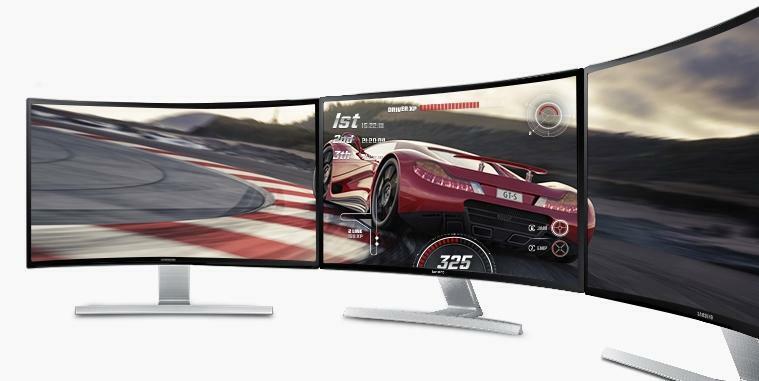 Indeed, I’d definitely love have three curved monitors side by side. It’s almost be like looking around in virtual reality!